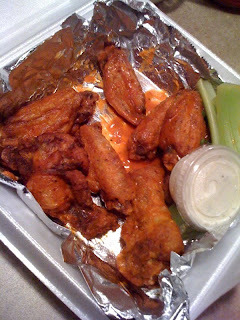 Did you write a review of wings you clearly got to-go? I bet they aren't soggy when they're fresh, without sitting in a humid styrofoam container. Just saying :). And I've had them at least a half dozen times THERE. Wasnt my first rodeo.